Why These Personal Injury Lawyers? Our goal is to connect people with the best local experts. We scored personal injury lawyers on more than 25 variables across five categories, and analysed the results to give you a hand-picked list of the best personal injury lawyers in Virginia Beach, VA.
Ben Glass Law is a full-service law firm that focuses on personal injury cases, long-term disability, Traffic and DWI defense, and criminal defense. The firm’s attorneys work to win compensation for victims of car accidents, slip-and-fall injuries, medical malpractice, workplace injuries, and wrongful death. The firm offers caring, knowledgeable, and honest representation to every client, and founding attorney Ben Glass has been Avvo rated Superb for his work representing victims of car accidents. Bennett & Sharp is a personal injury law firm serving victims of boating accidents, medical malpractice, trucking accidents, nursing home abuse, and military-related malpractice or injury. The firm also handles family law, worker’s compensation, criminal defense, and traffic defense cases. Attorney Carlton F. Bennett is a member of the Traumatic Brain Injury section of the American Association for Justice and fights to protect the rights of victims and families suffering due to injuries or wrongful death. Cooper Hurley Injury Lawyers offers over 40 years of combined experience in personal injury law. The firm’s attorneys help victims of vehicle accidents, railroad accidents, defective products, medical malpractice, slip-and-fall incidents, and defective medical devices. The firm represents clients to win full compensation for pain and suffering, medical bills, and lost wages. Complete legal services are available for families who lost a loved one due to wrongful death caused by negligence, recklessness, or malicious acts. Favaloro Law is a Virginia Beach law firm dedicated to personal injury and medical malpractice cases, environmental law, and civil litigation. Attorney Mark J. Favaloro provides over 30 years of experience in protecting the rights of victims of auto accidents, trucking accidents, toxic chemical spills, unsafe premises, and injuries or death due to recklessness, negligence, or malicious acts. Victims and families can call, text, or email the firm for a free initial case evaluation. Fine, Fine, Legum & McCracken is a law firm with almost a century of experience in personal injury cases, family law, and estate planning. The firm’s attorneys represent people injured vehicle accidents, unsafe premises, and negligent or reckless behavior, and help victims get full compensation for pain and suffering, lost wages, and medical expenses. Additional services include assistance with appointing guardianships, as well as living wills, probate disputes, divorces, and child custody. Hook Law Center provides experienced representation in a range of legal cases, including consultation in personal injury settlements. The firm offers over 40 years of experience in helping clients maximize personal injury awards, protect awarded funds, obtain essential health coverage, and apply for public benefits. The firm handles estate planning, long-term care planning, elder care planning, and veteran’s benefits. The firm’s attorneys also assist clients who have children or family members with special needs. Joe Miller Law is a Norfolk law firm focused on personal injury, wrongful death, and worker’s compensation cases. The firm fights to win full compensation for medical expenses, lost wages, and pain and suffering, and death benefits for families in cases of wrongful death. Joe Miller Law helps victims of traumatic brain injury, care accidents, nursing home negligence, trucking accidents, and railroad accidents. Worker’s compensation representation as available for longshoremen, harbor workers, and other employees injured on the job. JRLaw is a law firm dedicated to personal injury, criminal defense, juvenile defense, and civil defense cases. Attorney Jerrell R. Johnson is a former police officer and has a deep understanding of the legal and criminal systems, and provides assistance to victims of car accidents, defective products, dog bites, pedestrian accidents, motorcycle accidents, and unsafe premises. The firm also offers representation against insurance company claim denials. Clients can call the firm to schedule a free case consultation. Oast & Taylor offers professional legal representation for a range of cases, including personal injury settlements, estate planning, veteran’s benefits, and guardianships and conservatorships. The firm’s attorneys are experienced in personal injury settlements and help clients understand available benefits, including SSI and Medicare, and plan for special needs as a result of injury. Other services include assisting veterans with receiving due medical care, pensions, and helping families of veterans win compensation in the case of death. Rutter Mills Personal Injury law firm helps injured Virginians find justice and maximize compensation for their serious injuries for over 50 years. They have the size, strength, and experience to ensure that clients win their cases and receive the largest settlement possible. Rutter Mills is deeply committed to their clients and their cases. Client service is the foundation of their approach as a law firm, and they ultimately measure their success in client satisfaction. Rutter Mills handles all aspects of personal injury law including auto accidents, social security disability, workers’ compensation, and maritime accidents. Shapiro, Appleton & Duffan is a dedicated personal injury law firm. The firm’s experienced attorneys fight for the rights of people injured by vehicle accidents, boating accidents, defective products, and medical malpractice. Other injuries or wrongful deaths include nursing home abuse, railroad accidents, and mesothelioma. Attorney Richard N. Shapiro has been selected to the "Top 100 Trial Lawyers" of Virginia, by the American Trial Lawyers Association and has over 20 years of experience working to win fair compensation for victims. Stallings Law Group is a full-service law firm for personal injury, juvenile crimes, family law, criminal defense, and DUI or DWI cases. Attorney Sonny Stallings has over 35 years of experience in aggressively defending the rights of people injured or killed by motorcycle accidents, dog attacks, boating accidents, slip-and-fall, and vehicle accidents, including complex cases involving bus companies. The attorney has a deep understanding of DUI and DWI cases and offers strategic defense and negotiation skills for clients. Tavss Fletcher is a full-service law firm for personal injury, medical malpractice, and family law, criminal defense, and traffic offenses. Other practice areas include corporate, tax, and real estate law. The firm’s attorneys are passionate about providing the best representation for victims of car accidents, truck accidents, and motorcycle accidents, and medical mistakes, pharmacy errors, and medical negligence. Prospective clients can use the contact form on the firm’s website to schedule a confidential case evaluation. The Joel Bieber Firm is a law firm dedicated to representing victims in personal injury, wrongful death, and medical malpractice cases. The firm’s team of experienced attorney work to win full and fair compensation for people injured by dog attacks, boating accidents, drunk drivers, defective products, aircraft accidents, and medical mistakes or negligence. Clients receive help in worker’s compensation cases involving workplace injury or death. The firm also assists with social security disability claims and appeals. The Law Office of Dennis W. Tackett provides friendly, experienced help to people injured by vehicle accidents, boating accidents, hit-and-run, nursing home abuse, defective products, medical malpractice, and unsafe medications. 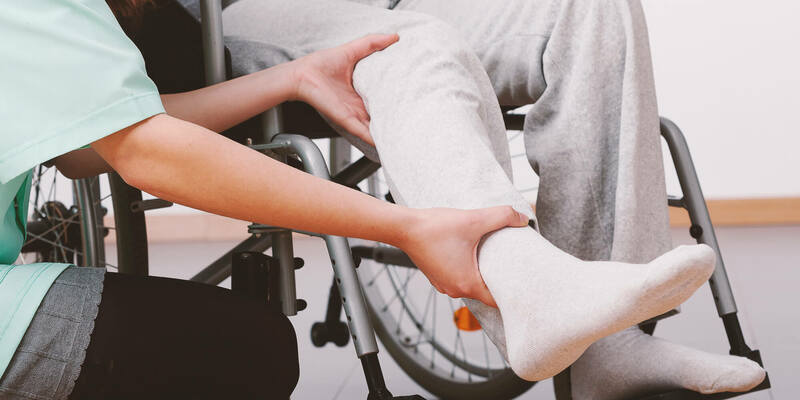 The attorney fights to win fair compensation for victims’ past and future medical expenses, rehabilitation therapy, lost wages, and pain and suffering. Attorney Dennis W. Tackett also represents families in wrongful death cases and offers support to clients every step of the way. The Law Office of Jeremiah A. Denton III is a multi-practice law firm for personal injury and medical malpractice cases, as well as family law, business law, civil litigation, and criminal matters. Other areas include whistleblower, harassment and discrimination, and libel and slander cases. The firm’s attorneys help victims of injury or wrongful death caused by vehicle accidents, slip-and-fall incidents, pharmacy mistakes, and other cases of negligence or recklessness. The firm offers bilingual service for English and Spanish speakers. The Law Offices of Preston, Wilson & Crandley represents clients in personal injury cases, insurance dispute, civil litigation, and traffic cases. The firm helps people injured by vehicle accidents, drunk drivers, bicycle accidents, pedestrian accidents, and other vehicle-related personal injury incidents. Clients also receive assistance in disputes with insurance companies involving car accidents, homeowner’s claims, and life insurance contracts, and defense for people charged with traffic offenses. Customers can call the firm to schedule a confidential case consultation. The Law Offices of Richard J. Serpe fights to get fair compensation for victims of personal injury and wrongful death, and also handles whistleblower and other employment law cases. The firm’s two attorneys help people who have suffered due to trucking accidents, pedestrian accidents, nursing home abuse, medical malpractice, construction site accidents, defective products, and toxic chemical exposure. Prospective clients can contact the firm on its website to schedule a free, no-obligation case consultation. The Zydron Law Firm is dedicated to personal injury law, family law, and worker’s compensation. The firm also handles military-related injury and malpractice cases, and attorney John E. Zydron has over 30 years of experience in U.S. military service. The firm works to defend the rights of people injured by defective seatbelts, nursing home neglect, motorcycle accidents, and injuries or death at sea. Additional legal services include professional representation in divorce, custody, and child support cases. Valverde & Rowell Attorneys At Law handles personal injury, wrongful death, and worker’s compensation cases, as well as immigration, employment, and business law. Criminal defense services are also available. The four-attorney team protects the rights of people and families injured by drunk drivers, bicycle accidents, workplace accidents, defective products, dog bites, and pharmacy errors. The firm’s attorneys negotiate with insurance companies and prepare each personal injury case as if it will go to trial.